Phase two of ZeroCT with Confidential Transactions is nearly ready to be deployed to the testnet, NavCoin’s Community Fund pays for carbon credits to offset the networks power consumption and the NavDroid is nearing completion. Implementation of NavCoin’s new on chain privacy method ZeroCT is well under way and is fast approaching its next major milestone. The first phase was released on the testnet some weeks ago and is currently available for review and feedback on GitHub. In this first phase, the implementation is using multiple denomination based accumulators more similar to the original Zerocoin protocol, with the additional features like anonymous identities and the ability to transact within the accumulator as described in the ZeroCT white paper. While phase one undergoes testing and review, Alex has been busy working on phase two and is nearly ready to deploy it to the testnet. This second phase includes confidential transactions and allows for private staking as well as regular transactions. This means the transaction amounts will no longer be visible on the blockchain and there will no longer be a requirement for denomination based accumulators. From Alex’s testing so far, the performance of the implementation is looking good. Verifying a transaction takes ~450ms, sending a transaction takes ~650ms and staking takes ~2s. 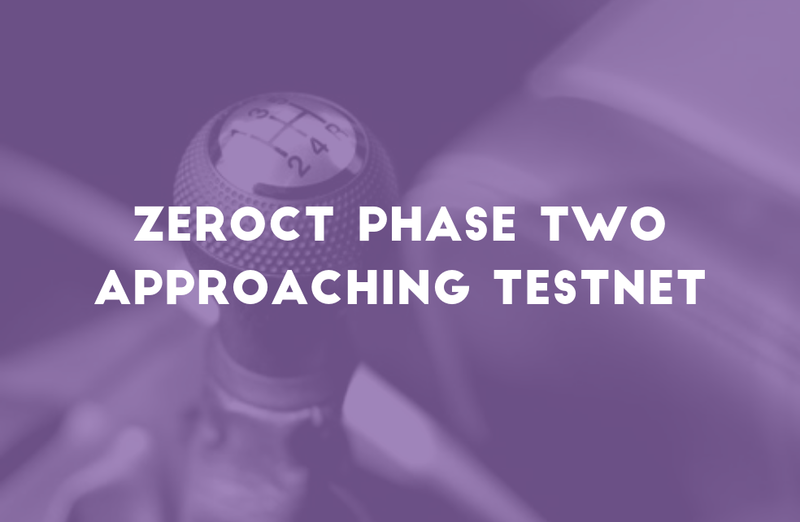 Once the second phase is on the testnet there is going to be a lot of testing and peer review required to make sure that it operates as expected before launching this new protocol on the mainnet. The more people who can review the code and test the protocol, the faster and more thorough this process will be. If you want to get involved in testing and code reviews, please join us on GitHub and Discord. This week Craig fulfilled his proposal to offset the estimated energy consumption of the NavCoin Network. NavCoin uses Proof of Stake which is already an energy efficient form of blockchain validation. However, with the network’s carbon offset paid, NavCoin goes one step further and is now the worlds first carbon neutral cryptocurrency. The Ekos projects that the credits are being obtained from are the Drawa project in Fiji, the Sasaboe project in the Solomon Islands as well as the Rameka project in Golden Bay, New Zealand. You can check out the projects page on the Ekos website for further information. To learn more head on over to the full announcement article on the Medium or NavHub. Matt has been working hard to finish the interface of the NavDroid StakeBox. This week he’s implemented confirmation dialogs, basic form validation, editing the NavCoin config file, encrypting the wallet, unlocking it for spending and staking and setting your “main address” to display as the QR code on the home page. As well as finishing these final components, he’s also refined the designs and layouts based on user feedback. Tomorrow Craig and Matt will focus on getting the interface up and running on an actual ODroid device and finishing the device specific components such as updating the daemon and starting the web service on boot. All going well tomorrow they are hoping to distribute a test image to community members on Friday and release the image publicly next week. Coindirect are now able to offer their customers in SEPA countries the ability to buy and sell NAV coin directly with Euros. The new Coindirect Euro Wallet allows both deposit and withdrawal of Euros between your wallet account to your nominated SEPA bank account as well as trading integration of NAV and other cryptocurrencies on the Coindirect platform. For more information about which countries are eligible and how to get the wallet, read the coindirect article How to Buy & Sell Crypto in Europe using SEPA Payments. NavCoin is now available for trading on CryptoWolf, a new instant exchange platform. The exchange doesn’t require user registration and boasts an average transaction fulfilment time of just three minutes. The fees are competitive with the exchange rate for buying 1 BTC worth of NAV only being 1.5% higher than what the CoinMarketCap currency converter reports. The service also offers purchasing with credit card for a short list of cryptocurrencies including Bitcoin, Litecoin and Ethereum. NavCoin Australia have created and published an infographic to help explain the process of getting proposals funded by the NavCoin Community Fund. It’s really as simple as these three steps to turn your blockchain dreams into reality. You can download the full sized image here, or share NavCoin Australia’s tweet directly. There is currently 136,000 NAV available in the community fund with 7 pending proposals and 4 pending payment requests active being voted on. If you are staking coins make sure you head on over, learn what they’re about and cast your votes. We are striving to make NavCoin the most usable cryptocurrency on the planet.